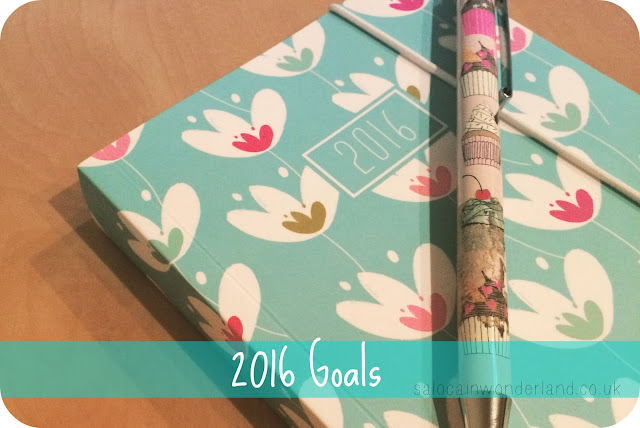 Have you started working on your 2016 goals and resolutions yet? I’ve been umming and ahhing about this for the last few weeks and honestly, I just don’t know where to start. It’s not that I don’t want to make any changes in the New Year, I mean it wouldn’t be a New Year without a few goals in mind, would it? I just don’t know what changes I want to make. Things are good right now. Really good. And I want those good vibes to continue right into the New Year. I guess that’s a goal in itself right there. I don’t want to lose weight. I want to get fitter. I want to be stronger. I want to get into a good routine with my exercise and start taking on a few challenges to continue to push myself. When I work out - I feel good. I sleep better. I am happier. Having not had to commute to work for almost two years now I don’t read half as much as I used to and my ‘to read’ list is getting longer every time I pass by Waterstones. So I really want to read more. Let’s throw the number 52 out there and see what happens. I had this idea back in 2014, and in 2015, I managed to set and complete about three challenges. The idea is to set myself one challenge every month. From daily blogging to going without meat or alcohol, money saving or working out more. One challenge - one month. I want to do more than three in 2016! I love charity runs. Not only are you left sore full of good feelings at the finish line, but it’s a great way to encourage yourself to keep fit and push yourself with each new race. I only ran one charity race in 2015 so I’d love to sign up for a few more in 2016 - maybe even work my way up to a half marathon by the end of the year? From a midweek pamper session to going offline for a day. I feel like I’ve been doing nothing but running around, working, running around some more, rinse and repeat. I need to make a point of just stopping from time to time, even if it means saying no to social plans or hiding my phone in a drawer for an hour. I wouldn’t be a blogger if I didn’t have some goals in mind. This year has been amazing for blogging. I have met some incredible people, become friends with bloggers I have admired from afar for so long and really started to find a schedule and a way of blogging that suits me. The only downside is that I have felt more and more pressure as the year has gone on. Pressure to have bigger numbers, better content, shinier pictures. Pressure to be working with big brands, to be making actual money, the pressure to post when the last thing I want to do is sit down and type. 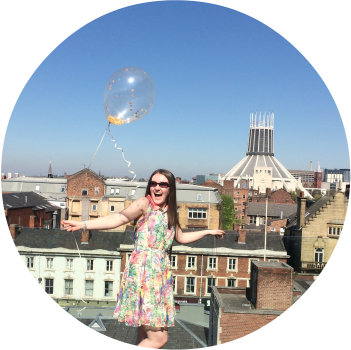 My blogging goal for 2016 - no more pressure. No more forcing myself to blog, or punishing myself if I don’t post. Blogging started out as a really fun hobby, an escape from the day job and place I could call my own online and I don’t want to lose that. I just want to have fun with it. Well there you go, that’s it. 2015 you have been marvellous, 2016, you’re on your way in and you’re already looking pretty damn good. I love the idea of setting monthly challenges! It's probably much easier to complete them if you take it one month at a time. I might set monthly fitness challenges for myself to help keep me motivated haha! I hope 2016 is a great one for you! I think focusing on one thing for roughly 30 days or so is much easier than trying to tackle a bunch of goals over the whole year. When I have just one thing to focus on I am much more likely to succeed, or so my theory goes! Time will tell haha! I love your blogging goals. AND THE RUNNING GOALs. RUN WITH ME SALOCA! Can you imagine if we did a run together? Logistics and the fact your a way better runner than me aside, that would be all kinds of awesome! I can't wait to see what's on your list! These are all awesome goals! Definitely the blogging one, no more pressure is ideal, I need to do that myself! I want to do the same with fitness, get more toned! Taking the pressure off should defiantly make blogging more about the fun, the creativity and the community thats for sure!